Ouija board stories, scary stories of experiences with the famous Ouija board! Ouija board stories are among the scariest there are with many people being interested by the concept of Ouija boards for a long time, and there are some very frightening stories out there about when things have gone wrong. In the 1980s, a group of college girls were huddled in a circle in the middle of a dorm room using a Ouija board, their fingers just barely touching the planchette as it slid around the board in a lazy figure eight motion. The fourth girl was pacing back and forth near the doorway. Anne was considered a local Ouija expert on the small college campus. The odds were good that on any given Saturday, a Ouija session would be in progress. On this particular Saturday night, the group of four girls immediately made contact with a restless spirit. The moment the planchette moved, Melissa, who had never used the Ouija board before, was convinced that it was demonic. She immediately jumped up and began pacing by the doorway, refusing to touch the plastic piece again. After asking the entity its name, it responded with, "N-O". Asking it a second time, it responded even quicker as the plastic pointer raced back to "NO" again. Misty, a short-haired blonde sitting to Anne's right, leaned forward and whispered, "Why?" The board made a few more figure eight sweeps and stopped, almost as though it was considering the question. Finally, it slowly spelled out, "K-I-L-L-E-D M-Y-S-E-L-F" and then started to move in a faster figure eight as though agitated. Misty gave Anne a confused look, and asked, "Where?" It spelled out its answer: "I-N T-H-E B-A-T-H-R-O-O-M". "Oh my God," Melissa said, and she opened the door and bolted from the room. The other two girls, also first-timers, couldn't take it anymore. They stood up, their eyes filled with terror, and raced out of the room. Anne looked at Misty with a smirk. "Well I guess that's a wrap," she chuckled, shaking her head. She looked at the board and said "Goodbye". 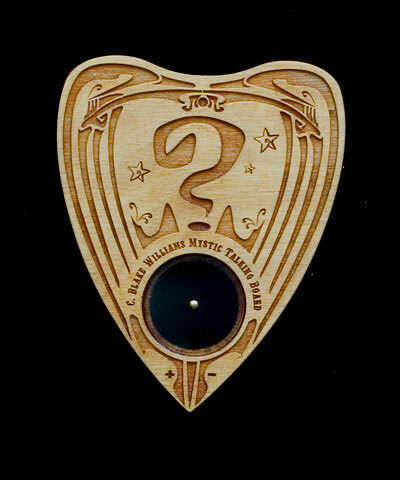 With just the two girls touching the planchette, it moved more slowly, but eventually it dragged itself to the bottom of the board and over the word "GOODBYE". The next morning, as all of the girls were getting ready in their dorm rooms, they heard a loud scream from the downstairs bathroom. They all ran into the bathroom to find Melissa standing in front of the mirror, dripping wet and wearing only a towel, one hand over her mouth in horror. 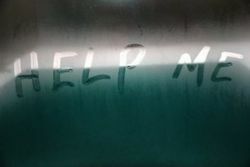 In the steamed up mirror, a fingertip had scratched the terrible words "HELP ME". All of the girls ran out of the bathroom, screaming at the top of their lungs. The next day, a team of three janitors examined the mirror closely and uncovered the mystery. Apparently, the girl who killed herself in the bathroom from a few years before had written a message on the mirror with her lipstick. Any time anyone took a very hot shower, the grease from the poorly cleaned lipstick stain would repeat her terrible cry for help. Many years ago, four college students were experimenting for the first time with a Ouija board. The three boys and one girl sat on the four sides of the board, with their hands crowded onto the small plastic planchette. It had only taken about ten minutes of sitting silently for the device to start gliding across the board in a slow figure-eight movement. Once the movement started, the oldest boy, Andrew, immediately asked the first question. "When am I going to get my first girlfriend?" he blurted. "Andrew, you putz," Brian said with a grin. "Let's be serious." "What...I am being serious!" Andrew replied. Over the next hour, they each asked several questions, and learned they were talking to spirits of friends who had passed away. After every few minutes, the identity seemed to change. Suddenly, after about thirty minutes, the planchette started to move with more urgency and speed. "Who are you?" Brian asked. Chris and Tanya, the boyfriend and girlfriend of the group, glanced at each other worriedly. "Whatever," Andrew scoffed. Andrew was the atheist of the group. He believed in neither God nor Satan. "What do you want?" Brian asked the entity. "I W-A-N-T H-E-R," it answered, as the planchette raced in a figure eight again and then launched itself off the board and started sliding in small jerks, across the bed sheet toward Tanya. "What the heck is it doing?" Tanya asked, terror filling her voice. The thought of some invisible entity touching her, even in the form of a plastic device, did not sit well. "Just...just don't move," Chris told her. "I want to see what it does." Tanya glared at him as the planchette, with all hands lightly resting on it, slid across the bed and rested near her hand. One edge of the planchette lifted onto her finger, slid to the top of her hand and started to glide up her arm. At that point, Tanya panicked, jumped off of the bed and raced from the room screaming. The three boys began debating with each other who the culprit was. Each boy suspected the other, but no one would admit the terrible possibility that not a single one of them was the ultimate culprit. We hope you enjoyed these Ouija board stories, if you have had an experience with a ouija board yourself and have a tale to tell we would love to hear from you, please send us your story using our contact form and tell us about your experience!